In Northern Ireland (NI) around 165 women are diagnosed with ovarian cancer every year. 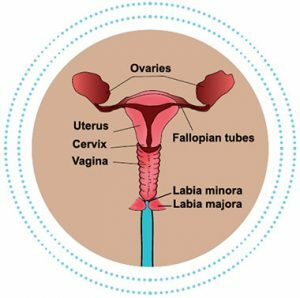 Ovarian cancer develops when cells in the ovaries begin to grow out of control and can then invade nearby tissues or spread throughout the body. As with most cancers, the risk of developing ovarian cancer increases as you get older. Most cases are in women who have had their menopause, but younger women can also develop ovarian cancer. Only 1 in 10 ovarian cancers are genetic (caused by the BRCA1 and BRCA2 gene) – most are due to gene changes that develop during a woman’s life and are not inherited. If you have very close relatives, such as a mother, sister or daughter, who has had ovarian cancer or breast cancer, you may have a higher risk of developing ovarian cancer than other women. If your relatives were under 50 years old when their cancers were diagnosed, it is more likely that their cancer is genetic. Other symptoms may include changes in bowel habits, extreme fatigue and back pain. Smear tests do not detect ovarian cancer – there is currently no screening programme for ovarian cancer. The symptoms outlined above are often caused by something less serious and don’t usually mean it’s cancer. However, finding cancer early makes it more treatable. If in doubt, get it checked out. Download our information leaflet on common female cancers here. If you have a question about cancer call our free and confidential support Nurseline on 0800 783 3339 to speak with a specialised nurse (Monday-Friday, 9am – 1pm). You can also email us on nurseline@cancerfocusni.org.